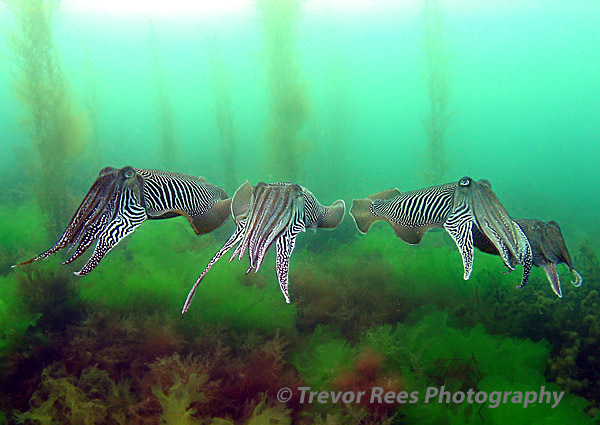 A row of cuttlefish published in Dive magazine. A row of cuttlefish taken during the breeding season when these creature move in to the shallows to breed and lay eggs amongst the weed. Published in Dive magazine April 2005.